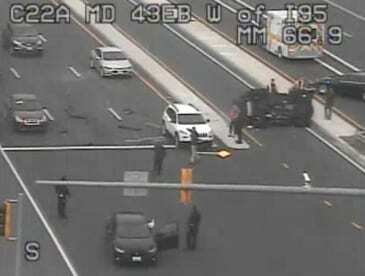 Crews were on the scene of a crash involving an overturned vehicle in White Marsh on Thursday morning. The crash was reported along Route 43 at Interstate 95 at about 10 a.m. The White Marsh Volunteer Fire Company reported that two of its units were on the scene. Ther has been no word on any injuries.